Defender who made her professional debut in 2010 with Kristianstads DFF, moving to F.C. Indiana in 2011 before signing with FC Kansas City in 2013. 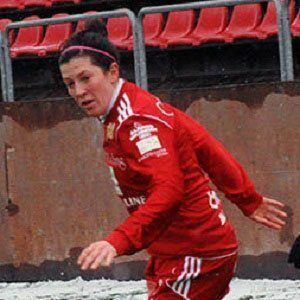 She began playing for Aland United in 2015. She played soccer at St. Teresa's Academy. She played college soccer at Marquette University. Her parents are named Neil and Shelley. Defender Calum Mallace also played soccer at Marquette.